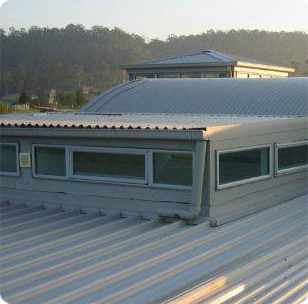 It is widely known that a roof ventilation solution such as a skylight installation from Tandem Trades is one of the most cost effective and effective ways of reducing excess heat within your home or business and keeping your property cool and comfortable in even the hottest Sydney summer. We - Expert skylight installers and manufacturers in Sydney, have over 25 years' experience in installing a wide range of roof skylight ventilation solutions for residential, commercial and industrial customers throughout Sydney and have built a name based on quality work, reliable service and value for money. Skylights have been the popular choice for Sydney homes and commercial homes for decades. Combining ventilation in the summer months with natural lighting throughout the winter, skylights are the versatile and practical roof ventilation solution. Allow us to help you decide upon the perfect skylight solution to suit your needs, budget and style. For an obligation free quote and evaluation of your roof ventilation needs, please Contact us today.